What could explain why trees only have 12 rings? A colony of space travelers makes their way to their new home planet. After landing and establishing their base camp, a wood worker begins to cut down trees and notices that none of the trees have more than 12 rings. Curiously he explores the country side for several days and can find no trees with more than 12 rings (dead or alive). I want the character to conclude that there is a pending extinction level event that will happen again, and this evidence is proof it has happened before. I can't think of what kind of event would leave new trees to grow but leave no old trees behind. To clarify some of the questions asked in comments. He finds no trees older than 12 rings and a ring represents one solar year on that planet. The trees are biologically similar to trees on Earth. He does find dead and fallen trees but none that have more than 12 rings. There are no remains of trees older than 12 solar years ago. There are no fossilized remains of older trees. I'm looking for an event that happened 12 years ago that made all the trees disappear. At this point I haven't figured out how he'll know the event will happen again, but I guess that depends upon what kind of event it is. Every fourteen thirteen years, vast swarms of a locust-like creature emerge from underground, where they have been living in the larval stage for all this time. The swarm darkens the sky, and eats every last bit of organic matter that is above ground and unable to flee. This includes the leaves, branches and trunk of every tree. Fortunately, the trees can quickly regrow from their root systems, as can pretty much all of the plant life on this world. Of course, the time interval does not have to be thirteen years, but (as martin pointed out in the comments) it should probably be a prime number, because this makes it more difficult for predators that eat the locusts to synchronize their population cycles to the population cycle of the locusts. This is observed in real life in the life cycles of cicadas, for example. The issue of having no living trees older than 12 years would at best indicate that some event occurred 12 years ago resulting in complete devastation of the forest in that region (note that an explorer on foot would presumably have to return to "home" every night, thus would have a limited region that he/she could explore; even with a ground vehicle, the region would be limited). Given this, a large forest fire or insect plague would likely be enough. For example, locusts can wipe clean huge areas of land, leaving essentially nothing behind; if one envisions a somewhat more aggressive predator, the presented scenario becomes even more believable. From what I understand, some army ant colonies can also be relentless. The absence of dead trees over 12 years old is a bit more difficult to explain, unless the above-mentioned scenarios result in alteration in micro-climate, such that fire destroyed all that was left. One would still expect to find some surviving specimens, though the argument could be made that the sample size isn't large enough. This is not so hard. Forest fire would do the trick. New trees would have started growing, either from buried seeds or from the still-alive root systems of trees that burned down, twelve years ago. As an extreme example: there's a tree (or grove) called Pando that's believed to have a root system 80,000 years old, with many stems springing from those roots, averaging 130 years old. In the past, intense fires have burned the stems many times, and they have sprung up again from the still-living roots. The issue you need to deal with is, is there any other evidence of the cataclysm? Twelve years later there should still be stumps and rotting trunks of the older tries that died. If those are missing, you need to explain their absence. The question is very Earth-centric of you. You said it yourself: you are on an alien planet with alien trees. Did you ask yourself: why is there something so Earth-like as trees on an alien planet? And why do the alien trees have rings to begin with?! But ok, let us assume that: yes, there are trees. And, yes, the alien trees have rings that are curiously similar to year rings on Earth trees. Why then 12 rings and not a variable numbers of rings? 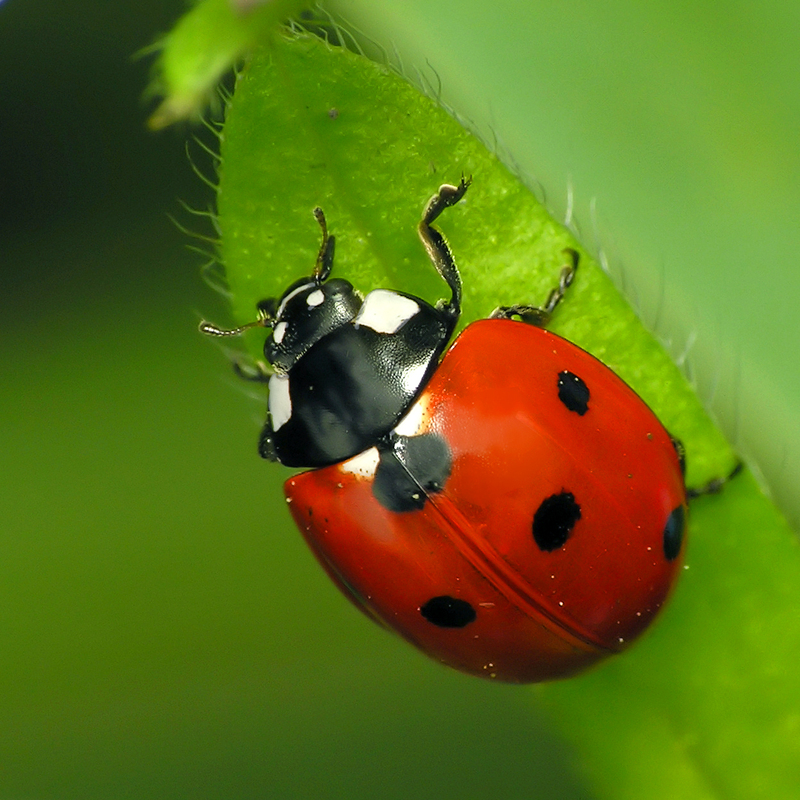 For the same reason the Seven-spot Ladybird has seven spots and not any other number: genetics. The rings have not come about through variable seasonal growth but because that is an inherited trait of the species of tree. Ok, so they are seasonal rings. The problem is... how can your protagonist know that? Every objection I fielded up there, will be brought up by the protagonist. Why would they not, hm? I'm not going to answer about the calamity, as many others already did, and they're all very good answers. make him found old dead trees. possibly fossilized. All with twelve rings on it, and visibly not dead of natural causes (not of old age or malnutrition for example, although a cyclic dryness would be a valid cataclysm). After finding lots of dead specimen with twelve rings maximum, and a death date separated by a period of 10-15 years, the character could deduce that something cause the death of every living organism every 12-13 years (depending on how long the seed takes to grow) ! One could imagine an extreme fire (perhaps vulcanic in origin), turning all trees into ashes, but leaving seeds in the soil intact. Usual terrestrial forest fires do not work this way, but perhaps wood is much more flammable on this planet...? I do not see any way by which he could deduct the reappaerance of the event looking only to the tree rings, so after he realizes there was an event, he could notify the others to start to search for signs. There's an opportunity for a twist here. That woodworker didn't explore the whole planet. One must ask, why does that "region" have the "oldest" trees. I imagine a magenetic hole wandering around, leaving the life exposed to cosmic radiation (solar winds, etc..). It could be a terrifying megafauna heard that constantly roams the planet: they think the megafauna are trouble (crushing all vegetation in their wake) when it's the predator(s) of those megafauna they should be worried about. If you want something more direct: how about a pulsar which bathes the planet in radiation every 12 years? (I'm not sure of a typical rotation period of a pulsar - I suspect it's usually much faster than 12 years, so it might need to be another cosmological periodic phenomenon) Of course, the object is far enough away that it doesn't "sterilize" the planet, but instead impedes growth. But life on the planet has adapted, and is in fact necessary for the eco system. Humans are the aliens and need to adapt, and fast. DAMN I really need to read the whole question, this doesn't work. For the entire life of a tree, a year by year record or ring pattern is formed that reveals the climate conditions in which the tree grew. So my suggestion, the planet is usually always warm, always equatorial. What causes these cold spells to create the rings? I think volcano winters, these trees have lived through 12 of them, and they are designed to just "hibernate" through them and keep going. But there just aren't enough plants to feed everyone during the long volcanic winters. 12 years ago, the area was terraformed from a desert, and trees were planted. Either by an advanced alien race (so your humans are pests in their farm), or by some kind of cataclysm. Your protagonist should explore more of the planet, but them again, the tree-farm can extend to entire planet. Edit: if I was that guy, I would assume this is a tree farm, or an environmental restoration/terraforming. So whoever did it will be real mad at me for cutting the trees that they planted. It is not necessary for an extinction level event to cause this. There are many places where American Beech trees grow in stands where none of the trees are more than 10 or so years old. Beech bark disease doesn't begin to have an effect on the trees until they reach this age and all the older trees in those places have already died. There could be a similar parasite that kills all trees once they reach a certain age on this planet. Bamboo, as everyone knows, grows like mad and is virtually a weed. Chickens, as everyone knows, lay eggs like mad. What few people know is why these two statements are connected. Bamboo flowers once every 50 years. The entire stand. After it reproduces, it drops its seed and keels over, dead. Chickens found themselves literally knee-deep in food every 50 years and so their biology evolved a trigger response: when food is plentiful, make egg. Sam O'Nella did a video on the topic. Ergo we have something that mimics what you want: your trees grow for 12 years, then produce flowers/seeds/whatever, and die. The wood is soft enough, and not-thick enough that it completely decays, resulting in few logs and no fossilization. And by "not thick enough" I mean that your trees are fairly narrow. Only 12 years of growth shouldn't leave them more than a couple inches in diameter. Several others fall into the same buckets. Going the other direction to many of the other answers: Years ago, there was a huge volcanic eruption. The lava spread out, and eventually cooled and solidified into rock. Weathering broke the rock down, and it gradually turned into volcanic soil deep enough to support tree growth about 12 years ago. If this happened in a lake or ocean, then the entire island may be less than 20 years old. With these extinction level events, drama for the survival of your space farers may ensue easily once they figure out impeding doom is afoot. Authors: Wang, V. C. & Lingenfelter, R. E.
Not the answer you're looking for? Browse other questions tagged space-colonization natural-disasters extinction or ask your own question. What could cause a planets day to lengthen suddenly?